It’s just common sense in today’s low-price climate that the future belongs to those who make smart business decisions. My last article outlined why it is so important to have your IT house in order so that when things inevitably get busy again, you will be ready to not only get the job done, but to get it done efficiently and securely, and at a better price than your competition. Another integral aspect of landwork, and one which is all-too-often overlooked, is incorporating an intelligent GIS program. In my experience, the majority of brokerages and small operators with whom we deal recognize the value of professional GIS services, but would rather focus on landwork than concern themselves with the cost, learning curve and staffing headaches associated with providing GIS services themselves. GIS stands for Geographic Information System. In a nutshell, GIS info is in the form of points, lines or polygons, although other information such as raster images can be easily included. The important factoid is that the points, lines and polygons “know where they belong” on the globe. That’s why someone can send you a shapefile and you can drag it into a GIS project and, as long as you have the correct projection, your information will snap into place—in the right place. Most people probably never think about the day-to-day routine of a truly professional GIS individual, but I can tell you they wear many hats and are critical to the smooth operation of a project as well as a business. Many organizations simply cannot keep an individual busy solely with GIS work, so they resort to using landmen that can put together and maintain a map. While I respect these individuals, I assert that it makes much more sense to outsource your GIS needs to a company like Landman Trends. I am fortunate to be associated with a staff of experienced professionals that can meet all of your needs, on an as-needed basis, and make you look good in the process. Outsourcing also makes a great deal of sense as it is very conducive to remote operations in today’s technical world. For our operator clients out there, we can handle all of your GIS needs, while giving you the added bonus of consistent results and limiting your contact list. In other words, instead of dealing with multiple GIS departments corresponding to the brokerages you deal with, you need only deal with us and let us work with the various brokerages to enforce standards and get you a uniform product. Let Landman Trends handle your GIS needs, so you can focus on getting clients and keeping them happy. We would love to tell you more. Just reach out to me at Bill.Justice@LandmanTrends.com or 337-347-9534. Watch for future articles addressing social media marketing, bookkeeping services, management consulting and more. To a company, each land brokerage and small operator that I speak with nowadays is squeezing everything it can out of every penny they have—and with good reason. The work that has been such a blessing to us all over the years is pretty darned thin at the moment, without a lot of hope (unfortunately) for a quick turnaround. Cutting costs not only makes sense, it is necessary in order to keep the doors open. In other words, the alternative is not very appealing. Whenever faced with a situation like this, expenditures are prioritized, whether overtly and methodically, or subconsciously. Regardless of how it is done, we all end up with a ‘bottom line’ category consisting of expenditures that are absolutely vital, not just for survival, but for positioning oneself to be able to react when that rare opportunity presents itself. The former are common-sense—rent, utilities, insurance, etc. The business has to at least have a heartbeat if it is to conduct any commerce. The latter is the focus of this article. It is one thing to simply have a heartbeat. 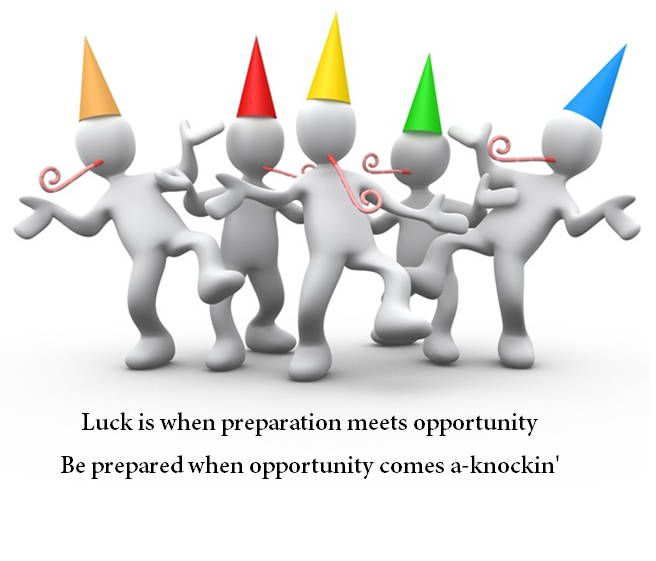 It is another to be able to jump on an opportunity and turn it into positive cash flow quickly. For this, you need your technical infrastructure to be not only in place, but healthy. What do I mean by ‘technical infrastructure’? I’m talking about the necessary components of any modern operation, such as the performance and security of your network, your software, hardware, and telecommunications package, your data sharing and retention policies, and much more. While these things may seem mundane, having your act together (or not) can make the difference in getting and/or retaining a client. Landman Trends provides IT consulting services so that you can be confident you are where you need to be when opportunity comes a-knockin’. Our consultants are not only extremely sharp and experienced, they know the industry, so are aware of and can relate to the issues unique to land brokerages and small operators. If you are already where you need to be, then congratulations. You are better prepared than your peers. 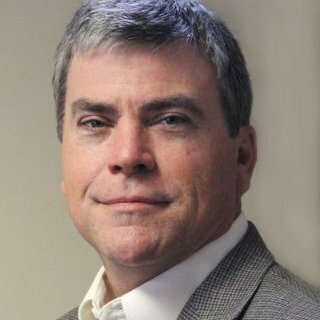 If you are not sure, contact me at Bill.Justice@LandmanTrends.com or 337-347-9534 and we’ll talk about performing a technology audit, reviewing all aspects of your operation to find vulnerabilities, then proposing affordable options to address them. In most cases, we can be just as effective remotely as in person. It’s really simple, common sense, and now is the best time. Watch for future articles addressing social media marketing, GIS services, bookkeeping services and more. Why would anyone start a venture whose client base is land brokerages and small operators? I get asked that often, and it usually only takes a few minutes before the inquirer is nodding his head and saying that he gets it. I am blessed to have many great friends across the country working in the land industry. My time with TotaLand, the AAPL and local associations has given me a great feel for the needs of land brokerages and small operators. I can tell you that there are very many individuals out there who are excellent landmen and who are able to get and retain clients. In many instances, however, those same individuals are not so proficient at the numerous other skills required to start and maintain their operations. Beyond the landwork itself, there are many issues to be addressed, such as building and maintaining a website and social media presence, building and maintaining a secure network that serves both ‘internal’ and ‘external’ clients, data security and management, GIS and data entry services and even bookkeeping. What do all of these services have in common? They are all critical to a successful business, and all require technical expertise in order to ensure that it is done correctly. Any of the aforementioned areas, if done incorrectly, can be very inefficient at best, and catastrophic (in the business sense) at worst. Another common thread is that there are many companies out there willing to provide these services, but very few who have the land background that we do. Our clients don’t have to bring us up to speed on the nuances and intricacies of the industry. As both a provider and consumer of consulting services, my experience has been that not having to overcome that learning curve is better for our clients’ bottom line as well as their peace of mind. Suffice to say that now is the time to talk to us about getting your operations tuned up for the inevitable upswing. We provide consulting and services in website design, social media marketing, IT and data management. We also provide GIS, data entry/capture and bookkeeping services, allowing you to outsource rather than handle with internal staff. Are you nodding yet? Keep an eye out for additional posts going into more detail about each discipline. As promised, here is the follow up on how to properly communicate with your clients in this day and age. 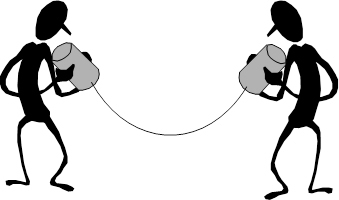 We ended the last post discussing the two-way communication model and that it is, by far, the best way to engage with your client base today, but how do you apply it to your business? The following are the best ways to get your marketing in sync with your customers. Most people today do not need to be convinced of the value of traditional advertising. You offer a product or service and you tell people about it. Seems simple enough, and the value proposition is evident, even if measuring ROI is a little less clear. But many business owners today struggle with seeing the value in utilizing social media channels, blogs, or other inbound marketing options. Why? It offers the same value proposition as traditional media, but with an added bonus: it allows you to have a conversation with your customer. The fact of the matter is that consumers today are more informed, more engaged, and more vocal about brands than they have ever been before. If you aren’t operating in this space and engaging these same consumers, your competitors will. So do a little research, get your brand active on inbound marketing channels, and start engaging with your stakeholders. Ok, so you’ve gotten your brand into the exciting world of inbound marketing, but now what? What are you supposed to do with it? This is where developing your content strategy is critical. The key to the strategy is to find a way to add value to your followers that don’t involve you blatantly plugging your brand constantly. People will quickly tune out if you do this. Determine what information would be of value to your followers and plan accordingly. Would they appreciate humorous posts or industry news? What about informational videos? Whatever you decide to do, make sure that you are developing at least SOME original content. Sharing other peoples’ content or links is a good way to keep your brand engaged, but content that you produce yourself is exponentially more valuable for branding. It establishes your brand as a “thought leader”, and is tremendously valuable in your marketing efforts. This all requires time and effort to execute, but it comes with the territory and will pay off in the future. Now that you’ve gotten your content ready to go, it’s time to schedule it to maximize impact. I have always found it best to do this at the end of the current month to plan for the following month. This allows you to have the most relevant information for your content. Go through the upcoming month and find relevant holidays, industry events, or other special considerations and plan accordingly. Just be sure to have a steady flow of content planned at least 3 times a week even when there are no events taking place. One of the biggest challenges companies face here is stopping the flow of content after a few weeks. This can be because you may not see the results you wanted immediately or you just don’t feel like you have the time to keep up with it. Your traction will be slow at first. It will take you quite some time to get that initial traction if you’re starting from scratch, but it will grow. I’ve started business accounts that took several weeks just to gain the first hundred followers, but then it quickly began to accelerate. It just takes time, effort, and a little TLC to get your inbound marketing channels to really blossom. Hello, all! First off, I would like to thank all of you for your feedback last week. It’s given me a good idea of what you guys expect from me, so I will adapt the message accordingly. So with that being said, let’s get started. What do you think of when you think of communication? Speaking to a friend face to face? Texting or sending emails? Interpretive dance? These are all considered forms of communication, and the same principles that guide them are the driving forces of your marketing efforts. So before we can talk about why certain marketing techniques succeed or fail, we need to break communication down to its base model. 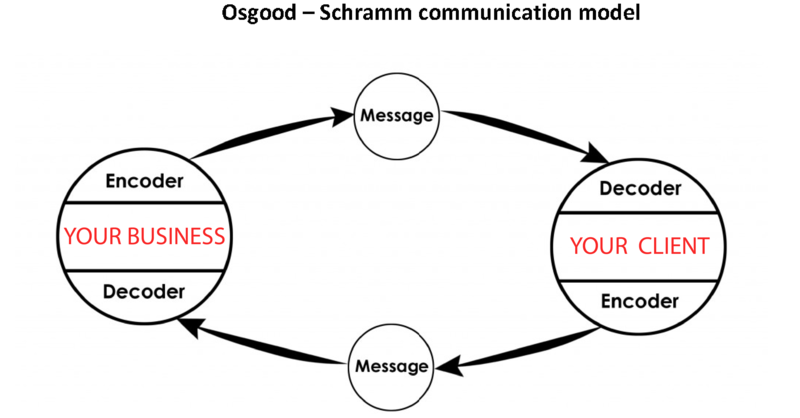 This may be new information for some or old news to others, but here is the Osgood-Shramm model of communication. The first step in communication is that the initiator encodes the message. Encoding a message means taking an idea and converting it into words, gestures, text, or whatever means that you plan to convey your thoughts. Next, that encoded message is sent through a channel. A channel can be the internet, radio waves, air (if you’re speaking), or just any medium that through which your message travels. Finally, the receiver (or receivers) decodes your message. This is where they basically process what you’ve communicated to them based on how clearly you’ve encoded the message. After this, the receiver becomes the new initiator, and the process begins again until the conversation is finished. Now all of that seems like an overly complicated way of explaining something that probably seems pretty common sense to us. We do tend to have conversations with people daily in some form after all, so why bother trying to break it down? Because this model is the basis of marketing and public relations, and if you aren’t thinking about your business communications this way, you will likely run into some problems. Let’s change the two interpreters in this scenario to “your business” and “your client”. Now we’ll apply this to the four major PR/Marketing models that have existed over the past two centuries. This model is all about creating buzz by creating news. Whether the news is real is irrelevant to those subscribing to this particular method. P.T. 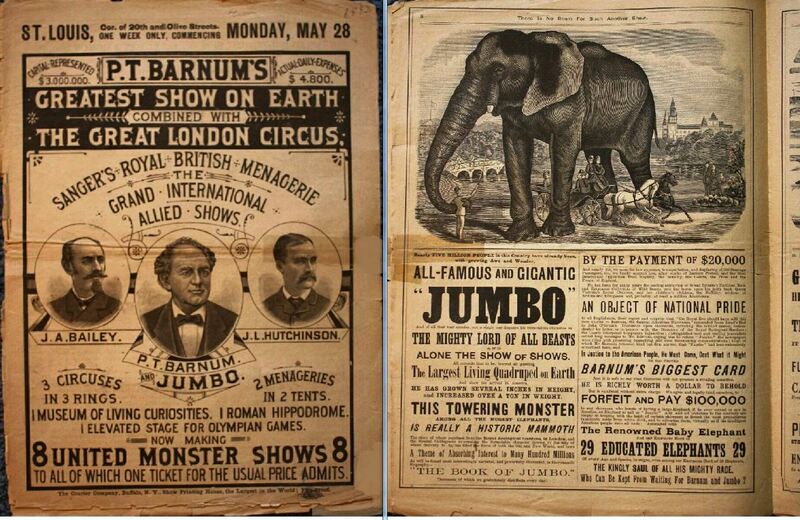 Barnum is considered a master of this form of advertising, and would often use half-truths and exaggerations to generate interest in his circus. 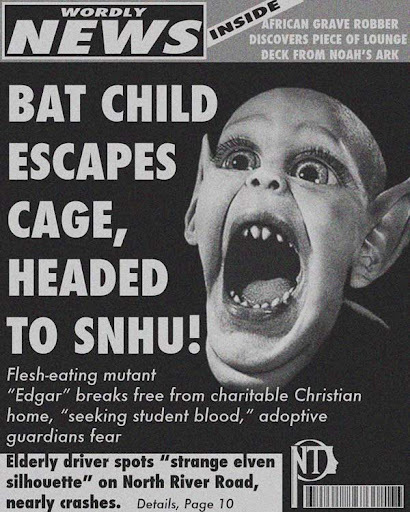 For a more recent example of this model, check out just about any tabloid. 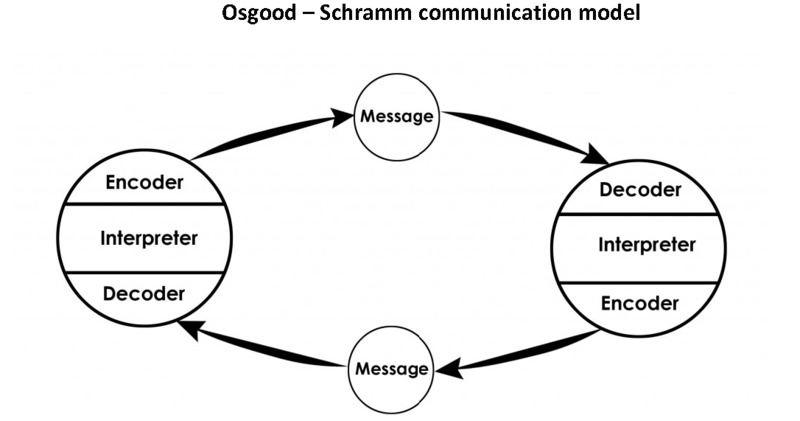 How does this model fit in with the Osgood-Shramm concept of communication? It only accounts for communication being sent from one side. The business is essentially talking to the customer without any way (or desire) to listen. Around the early 1900’s marketers began to shift to a more ethical practice of simply informing customers of positive information about their products and leaving it up to the customer to decide whether or not to buy. This isn’t to imply that they didn’t use any form of “adspeak”, but a lot more focus was put on the idea of truth in advertising. While this was a positive step forward in that they were no longer outright lying to their customers, it still is an example of one-way communication. Better intentions, but similar results. As the Cold War ramped up, the two-way asymmetrical model sought to use science and psychology to convince consumers to buy a product. Users of this model would conduct focus groups, behavioral studies, or other targeted research to get inside the head of the consumer and find the best way to make him or her behave in a desired manner. We’re getting closer to the desired model, but still missing the mark. While the customer does get some say in the relationship, the vast majority of the communication is coming from the business. Many marketers today would argue that this is still the best model to use, but it is quickly becoming obsolete with the rise of the internet. And finally we come to the Two-Way Symmetrical model. This model allows for constant communication with the customer by means of feedback mechanisms. These feedback mechanisms can be branded social media channels, online polls, the comment sections on blogs and videos, or anything that allows direct communication with your brand. Companies that have adopted this model also face the challenge of having to adapt to the needs of their customers regularly, but that is just a reality of business today. If you are not taking care of the needs of your customers, rest assured that someone else will. But how does this measure against the Osgood-Shramm model? It actually fits perfectly with business and client being equal participants in the communication process. If you would like to see an example of the Two-Way Symmetrical model in action, just check out the first paragraph of this article. This model applies not only to B2C companies, but B2B as well. While the communication channels may vary, the principle remains the same. So what does all of this mean for your business? How does adoption of this model translate into increased revenue for your company? Stay tuned for part two to find out! In the meantime, let me know what you think. Post your feedback in the comments section or send me an email, and I’ll be sure to respond. Hello world! Welcome to the official blog of Landman Trends. Watch this space for articles about marketing best practices, efficient data management, or just anything that will make your business the best it can be. Before we get started though, we want to hear from YOU. I’ve attached a poll to the blog so that we can get a better idea of what you want to read. Nathan Justice on Hello world!